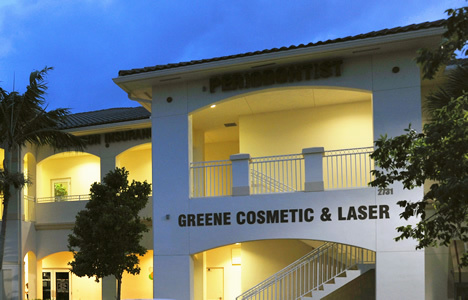 Every day, Dr. Greene sees patients who travel from out of town to see him for their injectable treatments. While patients commonly travel from areas such as Orlando, Tampa, and Gainesville, many of his patients live outside of Florida. For these out-of-town patients, there are some additional considerations and preparations. Fortunately, since we see so many out-of-town patients in our office, we have optimized the experience for these patients. Please be sure to let our staff know when booking your appointment if you arriving from out of town. It is virtually impossible to know if you are a candidate for your desired treatment prior to a face-to-face consultation with Dr. Greene. Please understand that there is always a chance that you will not be a candidate for treatment, and that Dr. Greene will not be able to treat you. Dr. Greene will not alter his medical decision making, despite the distance that a patient has traveled. It should be noted that the vast majority of patients who travel for Dr. Greene’s expertise are able to undergo treatment. 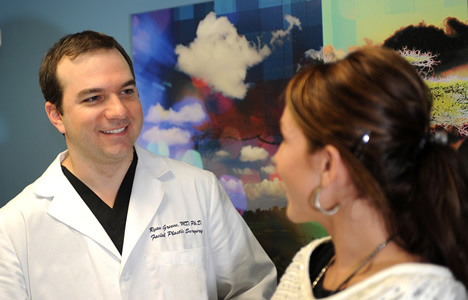 Many patients ask to send photographs for Dr. Greene to evaluate prior to their visit. 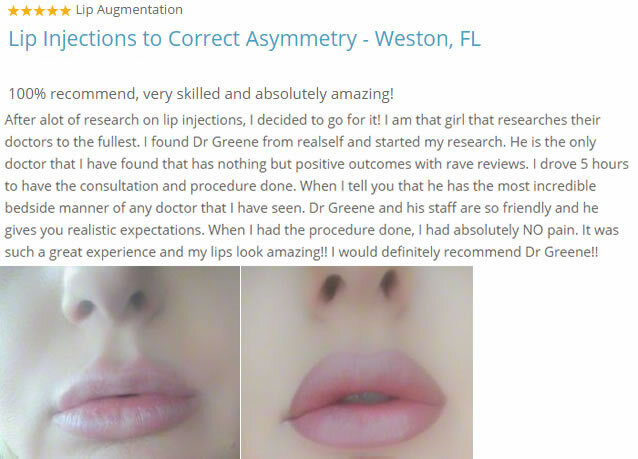 It is important to note that Dr. Greene cannot render a medical opinion based on your photographs prior to your visit. However, you can speak to our staff regarding sending photographs. 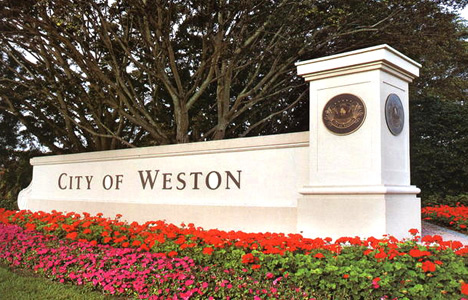 Our office is conveniently located near the Fort Lauderdale and Miami airports. Our office is an approximately 30-minute drive from Fort Lauderdale airport, while being slightly further from Miami International Airport at approximately 45 minutes. Many of our patients choose to use taxi services, or Uber and Lyft, rather than renting a car. Fortunately, there is a convenient hotel next to our office for patients who decide to stay for at least one night. Some patients may also stay in nearby Fort Lauderdale or Miami if desired. Our staff will be happy to offer lodging recommendations for you. How long should patients stay? Many patients are only able to stay in South Florida for the day of their treatment, and some even fly home immediately following their visit. It is important to understand that many treatments require staging, and thus, may necessitate multiple visits to our office. However, this can often occur over several weeks or months, depending on your goals. Additionally, injectable treatments can be associated with specific side effects and risks, although most are mild and resolve rather quickly. However, patients must be prepared to return to see Dr. Greene if any unexpected, though rare, side effects are encountered. It should be noted that this is an extremely rare occurrence. 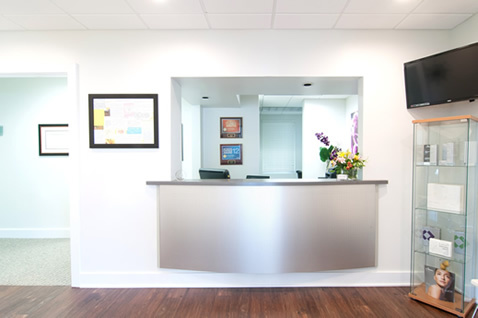 Depending on your treatment, some special preparations may be necessary prior to your visit. If there is any evidence of a cold sore on the lip, Dr. Greene will not be able to treat you. He will also not treat any area of active infection. If you are prone to cold sores, it is recommended to pre-treat with an anti-viral medication prior to your visit, in order to prevent any cold sores. Please discuss this with our staff prior to your arrival. Finally, please make our staff aware of any recent injectable or other cosmetic treatments, as this may affect your upcoming treatment.